The first and foremost distinguishing trait is the fact that Jujitsu is the progenitor of Judo. Jujitsu is a complete system of fighting deployed by ancient Japanese Samurai warriors and includes using punches, kicks, grappling, swordplay and what have you to take down the opponent. Judo is just one and a much gentler part of Jujitsu and really is a defensive form of fighting in which one grapples with an opponent, using one’s body weight and how it is leveraged to overcome the opponent. The discipline of Jujitsu was honed in the battlefields of ancient Japan of the Samurais. It includes all of the techniques of Judo. That apart it also incorporates combination systems of attack on nerve centers and organs. Judo is a much safer and toned down version of Jujitsu that completely does away with attacks on nerve centers and organs, and instead render it safe as a form of martial art which could easily be practiced, and indulged in as a competitive sport. In Judo the key to winning is to take advantage of the opponent’s momentum to indulge in clever and opportunistic grappling, throwing and tripping. Jujitsu on the other hand expands on this and uses several combinations of traps, pins, devastating blows and joint locks. You could say that while Judo is more of a sport, Jujitsu has to do with real fighting. 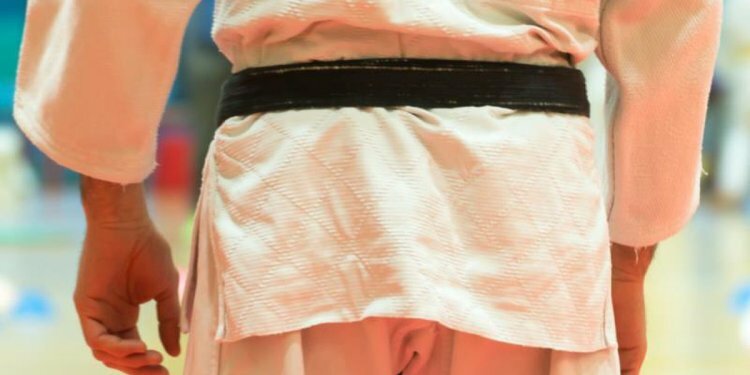 In essence this means that while in Judo the endeavor is to merely throw or trip an opponent in Jujitsu the intention is to destroy the opponent by debilitating them or shattering their bones. Or in other words Judo is for boys and Jujitsu for men! If one were to enumerate the moves in the two disciplines one would say that judo equals throws, locks and chokes, whereas Jujitsu stops at nothing-throws, locks, chokes, various ways of striking including using kicks, elbows, knees, punches, head butts and weapons. Jujitsu is part of ancient Japanese martial tradition and is in a way reflective of the ancient Japanese attitude towards life and war. Judo on the other hand is an invention of the modern times and is reflective of the sensibilities of the modern era and is therefore a much civilized and certainly kinder form of martial art. Judo is taught in schools the world over. One sincerely doubts that any school in the world would be thinking of teaching traditional Japanese Jujitsu to its students. 1.Jujitsu is the progenitor of Judo. 2.Jujitsu is a complete system of fighting deployed by ancient Japanese Samurai warriors and includes using punches, kicks, grappling and swordplay. Judo is a defensive form of fighting in which one grapples with an opponent, using one’s body weight and how it is leveraged to overcome the opponent. 3.Jujitsu incorporates combination systems of attack on nerve centers and organs. Judo is a much safer and toned down version of Jujitsu that completely does away with attacks on nerve centers and organs. 4.You could say that while Judo is more of a sport, Jujitsu has to do with real fighting.